This issue continues the story of a trio of anti-heroes from Philadelphia who are on a mission to recover a mystical artifact for Merlin. The brief pages that show us this story’s incarnation of Merlin give off a vibe of a character who not only seems darker but whose intentions could be far from noble. The Musketeers themselves are not even sure if they’re fighting for a cause that is worth it, and this sentiment is further exacerbated when the authorities attempt to ambush and destroy them. Having provided them with an ancient Book that gives them their powers, Merlin clearly holds the strings over the Musketeers and in this issue, we see some glimpse of where his great game seems to be headed. 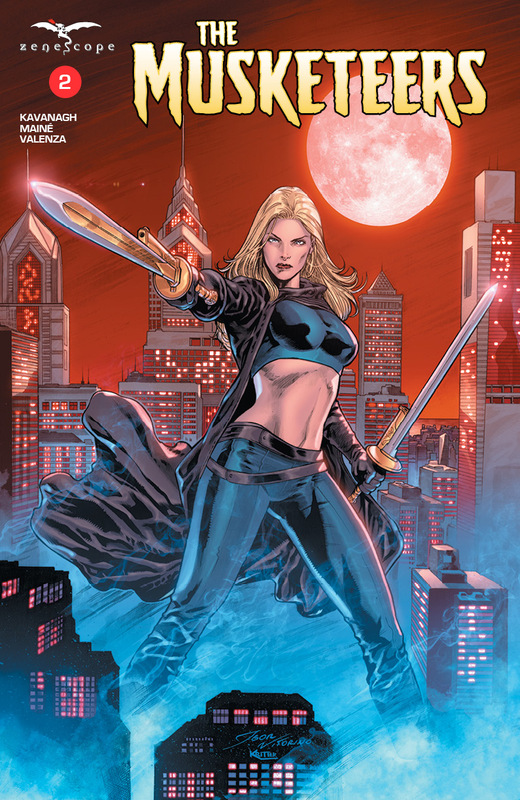 However, the last page shows that one of the Musketeers might have an agenda of her own, further complicating the events to come. While the art is quite good, the story lacks tension and does not do much to interest the reader. We see the cliché story of different factions lusting for power, control, and influence, but The Musketeers doesn’t break any new ground to make this series worth owning. 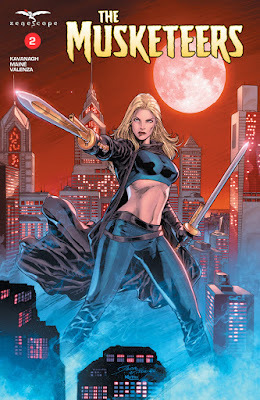 And Zenescope perhaps would be better off if it did not have to resort to the old plot tactics of mystical artifacts and amulets, which seems to be a running theme in most, if not all, of the company’s titles.